After all the juicy summer fruits and ice creams I've been eating recently, I really felt the need for some chocolate cake. 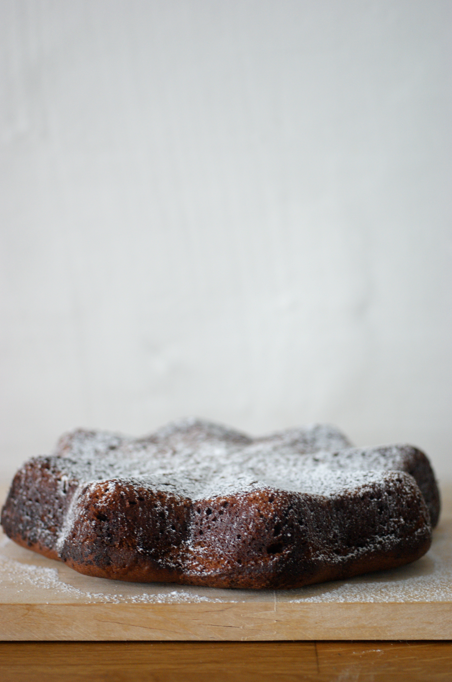 I came across this recipe on one of my favourite blogs, Desserts for Breakfast. 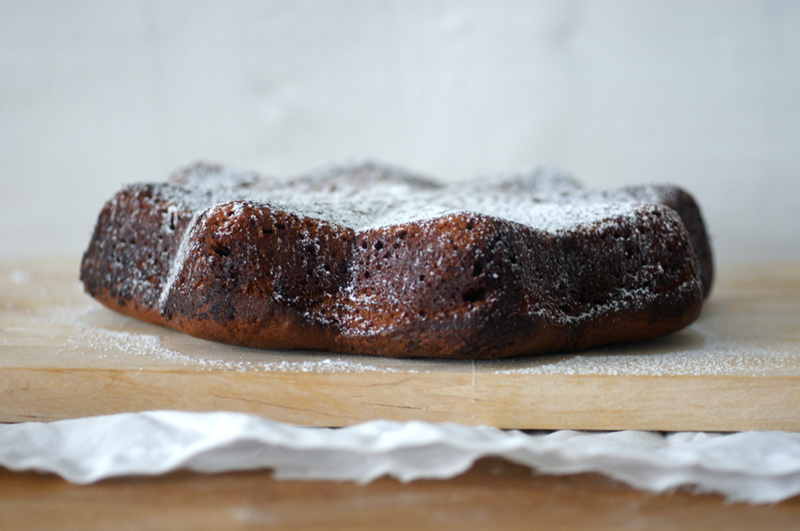 I liked the idea that it only needed a sprinkle of icing sugar - it's a pure and simple cake. I had also never baked with ricotta before, so curiosity was another reason I chose this recipe. I didn't have quite enough ricotta, so I scaled it all down a bit - have a look at Desserts for Breakfast for the original recipe if you want a bigger cake. It was perfect amount for us anyway. I found this unusual cake mould in IKEA. I wasn't sure how it would come out, but it's very pretty. It cuts neatly into 8 or 16. Moral of the story: use cocoa powder. Or flour. 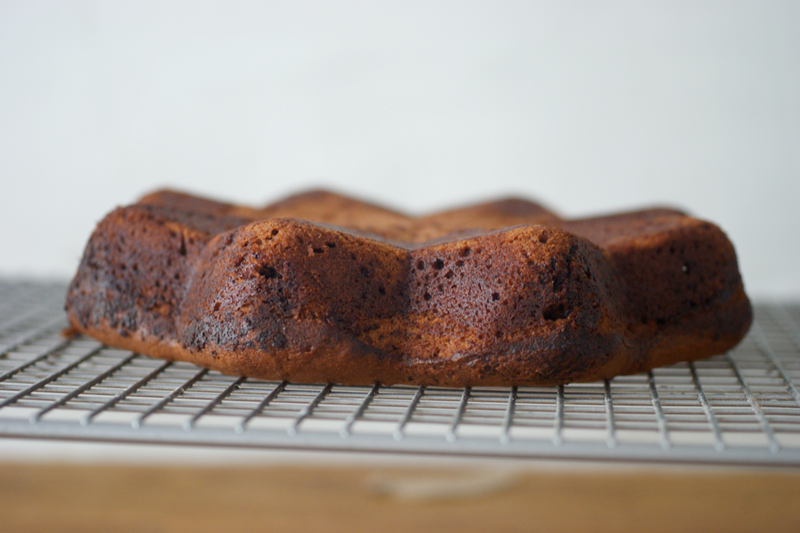 This cake is incredibly moist and tender. Cocoa gives it a slightly more subtle chocolate hit than melted chocolate would: it's surprisingly not that rich. Well. 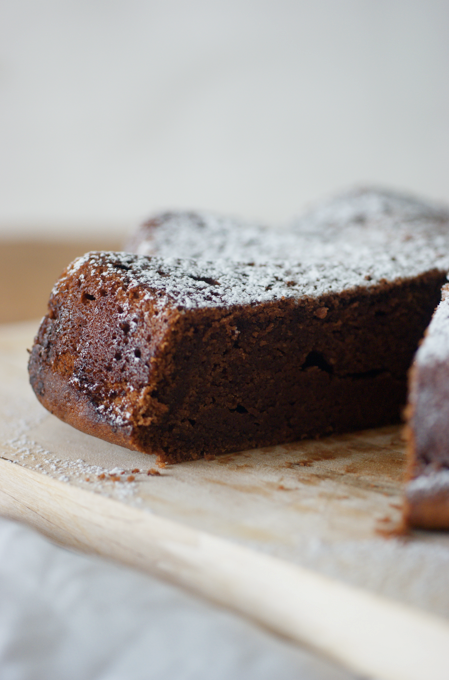 It's a very moist chocolate cake, it is rich, but in a light summery way. I can't really describe it (obviously). It must be the ricotta. It also has a slight tang to it - a hint of the ricotta peaking through the flavours. Preheat oven to 180C/350F. 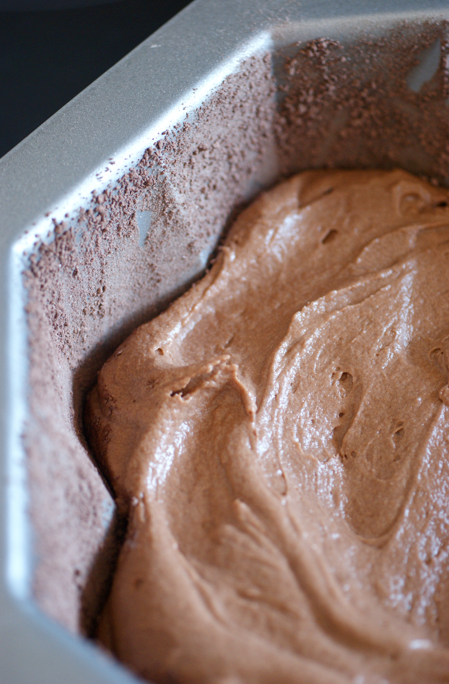 Mix together the cocoa powder and boiling water and leave to cool. While you wait, grease and dust the mould. When the mixture is cool, whisk in the eggs and vanilla extract and put to one side. Sift the flour and baking powder into another bowl. In a mixer, cream the butter, ricotta and sugar together at medium speed. Keep going till it is light and fluffy - about 3-4 minutes. Add 1/2 of the chocolate mixture, beat to combine, then add a 1/4 of the flour. Add 1/2 of the eggs, then another 1/4 of the flour. Repeat until all is combined. Pour into the prepared tin and bake for about 30-40 minutes - you will probably need to cover the tin with foil to stop it burning after 15-20 minutes. A skewer/toothpick should come out cleanly when it is ready. Leave to cool for 5 minutes before turning out. Dust with icing sugar when fully cooled and serve. Now I have to try it with chocolate as well. I can't wait for our Denver IKEA to open, finally. Fall 20011. 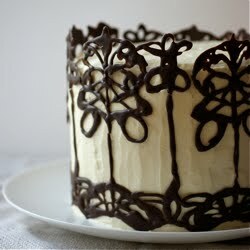 What a simple and delicious cake! The ricotta must add a nice moistness to the texture. Yum! Going to save this recipe to make at the weekend. This recipe is truly delicious !! A friend of mine made your snickers brownies (which I also got to enjoy). I am so glad she told me about your page ! 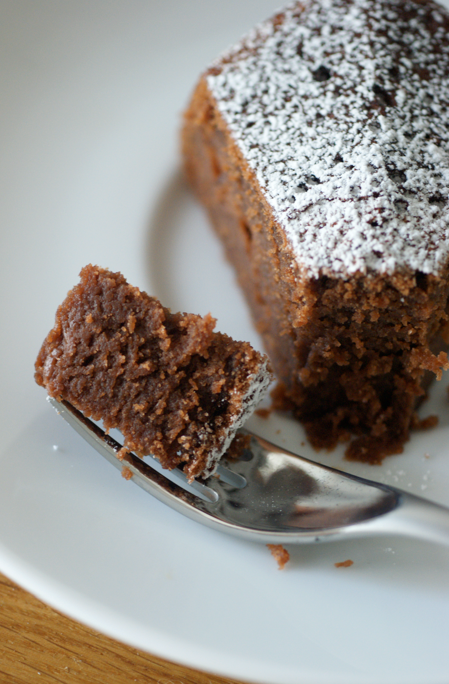 I am eating a slice of the chocolate ricotta cake right now :) It's wonderful !